The mother of a 13-year-old girl struck and run over by a bus last Friday is appealing to Edmonton Mayor Don Iveson to make the streets safer in the west-end neighbourhood. 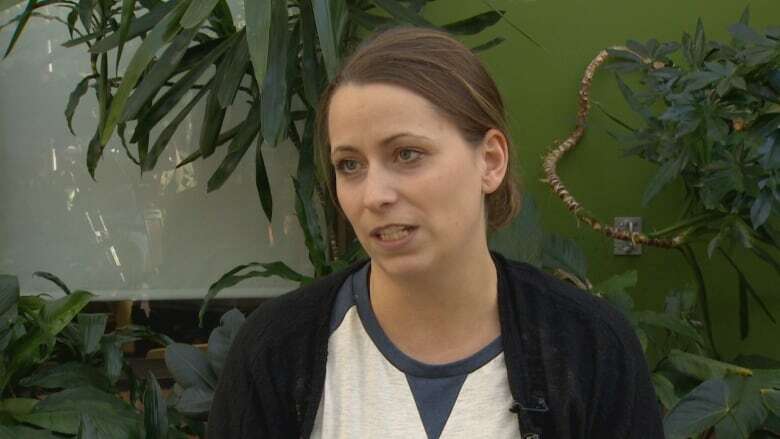 The mother of a 13-year-old girl who was struck and run over by a school bus last Friday is appealing to Edmonton Mayor Don Iveson to make the streets safer in the west-end neighbourhood. Devony Kasawski remains in the Stollery Children's Hospital with a fractured skull, a brain injury, a broken jaw and a shattered pelvis, her mother said in a letter posted on Facebook Thursday. The teenager was one of two girls hit and run over by a school bus near Hemingway Road at 206th Street at about 4 p.m.
"Every day there is agony and the future is unknown," Trisha Kasawski wrote. "She cries out for me multiple times a day in fear and pain, when all she should be worrying about is how to do her hair and what to post on Instagram." Kasawski is calling for a consistent speed limit of 30km/h on Hemingway Road and "desperately needed marked crosswalks." In a 900-metre stretch between two schools, the speed limit goes from 30 km/h to 50km/h, and back to 30. Her letter said that with two schools in the area — more than 970 students at Bessie Nichols School and 860 at Sister Annata Brockman — there are 1800 K-9 children "walking, biking, rollerblading, being picked up or taking a bus between this dangerous stretch of road." She described the area as a road where "cars speed, weave in and out of traffic to rush, and drive too fast in bad weather conditions; 900 metres where parents dart between traffic, children in hand, without crosswalks." "There is no more time to debate it, no more time to shuffle paperwork, and no more time to figure out where the funds are coming from," the letter reads. Thursday afternoon, Mayor Don Iveson told media he hasn't read the letter and therefore wouldn't comment on speed zones or crosswalks in that specific neighbourhood. He acknowledged that the city has heard concerns about safety in school zones. "We've had that feedback, but having not seen the letter I wouldn't want to get into speculating about anything," Iveson said. He said councillors will discuss crosswalks and speed limits in playground zones at a community and public services committee meeting next week. "That's probably the best place to dig in on that." At the same committee meeting on Wednesday, the city's operations branch is expected to present the results of its Vision Zero program in 2018 and findings since the city launched the program in 2015. The goal of Vision Zero is to have no traffic deaths or serious injuries by 2032. Devony's aunt, Julie Lawrence, spoke to media on Thursday. She said Kasawski, her sister, was expressing her frustration in the letter. "It's ridiculous that it's a 30-50-30 zones, it's ridiculous that any child should get hit with somebody doing 50 in a residential and she just wants action made, so that this doesn't happen to anyone else. "It needs to change now." Kasawski said it will take months, if not years, for Devony to rehabilitate. Lawrence said her niece is in pain often and is confused about what happened. "She just wants to ride horses again," Lawrence said, noting that the teenager loves animals and enjoys horseback riding. "She is vivacious, she's social-justice minded." 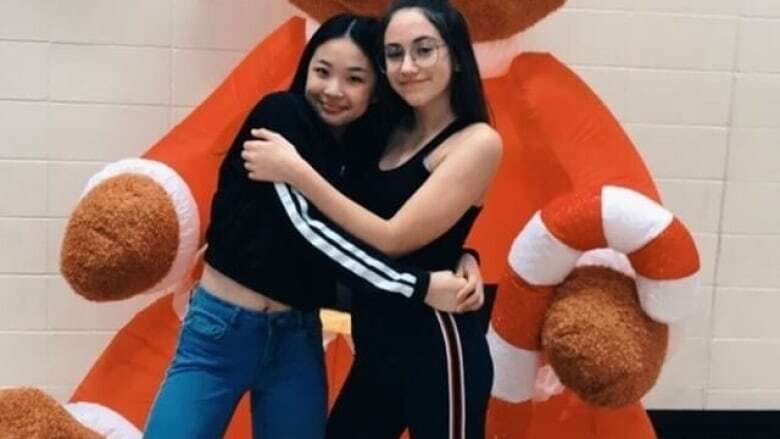 The second girl hit Friday, identified by family as Jessica, is pictured with Devony on a GoFundMe page. Lawrence said the friend has been discharged from hospital and is recovering at home. 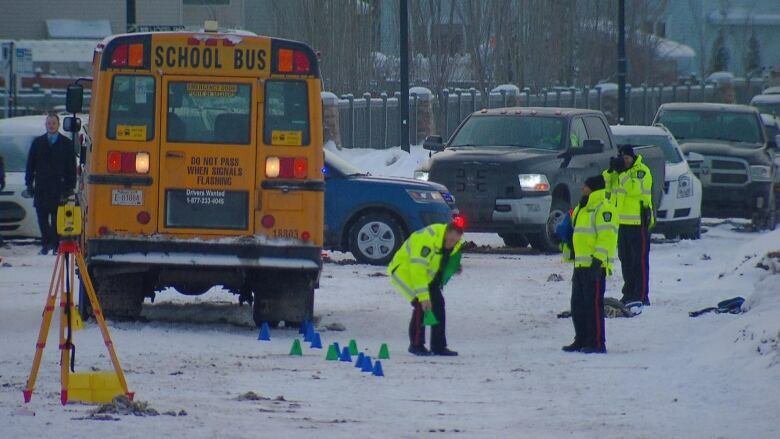 On Friday, Edmonton police said charges are pending against the 44-year-old male bus driver.